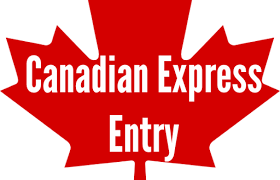 Do you Qualify for Second Express Entry Draw? 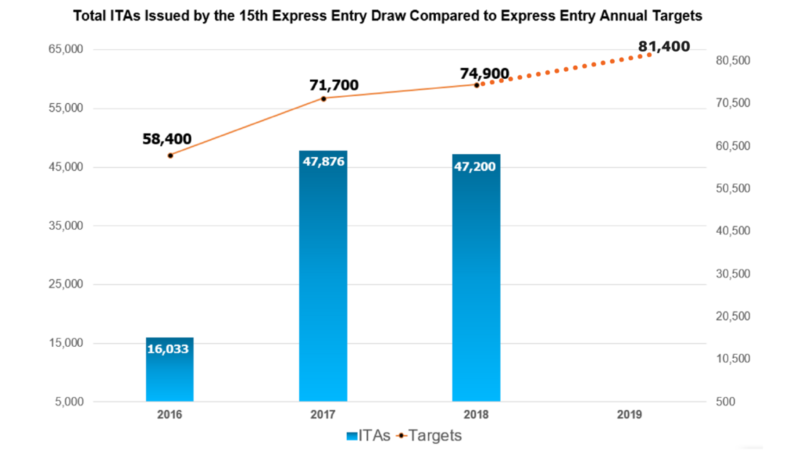 The selection process for Canadian immigration named as express entry draw that took place on July25, 2018.Minimum comprehensive ranking system score (CRS) is 441.This implies that the candidates having comprehensive ranking system score (CRS) 441 or above 441 are eligible to apply for Permanent residence of Canada and the candidates having comprehensive ranking system score (CRS) below 441 are clearly not eligible for the application. 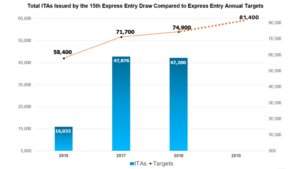 In both the express entry draws the number of Invitation to apply or ITAs issued is 3,750. 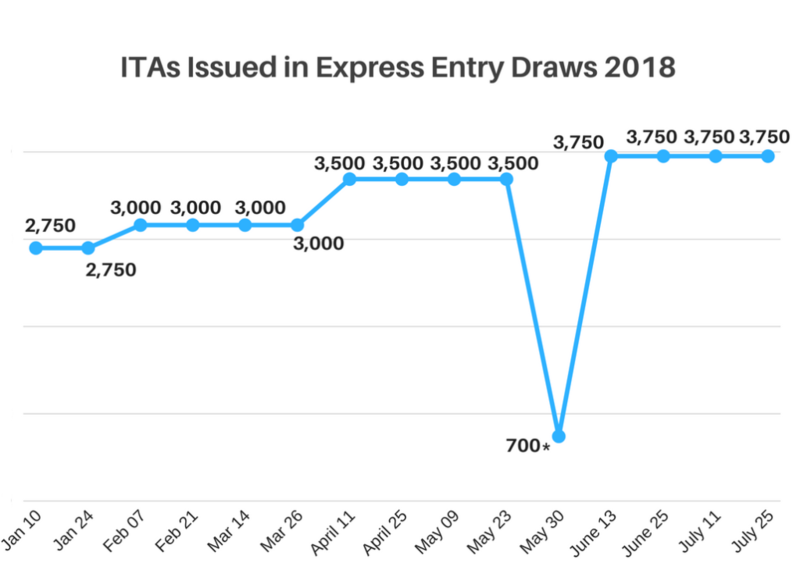 Thus the number of invitations to apply or ITAs for the month July is 7,500. The tie-break date and time for this latest invitation round was held on December 31, 2017 at 12:14:21 UTCC. This means that all those candidates having comprehensive ranking system score (CRS) 441 or above 441 whose profile have been submitted before the tie break time and date that is December 31, 2017 at 12:14:21 UTCC will have received an Invitation to apply (ITA) in this current invitation round. Sara is 28 years old, has a Bachelor’s degree and advanced English language proficiency. Sara has been working as a graphic designer for four years. 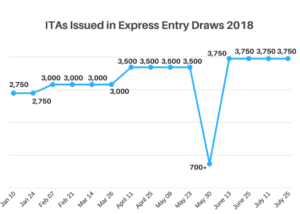 While she’s never worked or studied in Canada, her CRS score of 441 would have been sufficient to obtain an ITA in today’s draw. Countrywide visas is one of the best immigration consultants at Nehru place, Delhi. Countrywide Visas has been operating and helping clients from August’15. We don’t charge for job, placement or recruitment fee from a candidate. Also, our fee structure is flexible. Countrywide Visas is an immigration agency that specializes in Canada PR Visa. It is registered with Ministry of Corporate Affairs Canada is one of the most lucrative destinations in terms of Job and lifestyle. To get more information about, you can directly contact to us over the call by ringing us at 011-41075840 / 011-41045840 or by leaving a mail on our email id at info@countrywidevisas.com. You want to inquire about the Best Canada PR Visa consultants in Delhi or want to make your case in high priority then directly Fill Technical Assessment Form for free.